Playing in the World Cup Squad is the dream of every cricketer, whereas some fortunate ones’ dreams come true and some get even luckier by being part of a World-Cup-winning team. However, the most unfortunate ones are those who never got a chance to play for their country in the World Cup besides being one of the finest players to represent their side. The biggest tournament of them all, the 50-over World Cup is what every cricketer wants to be part of. In this post, we will talk about some of the unfortunate players who never got a chance to be part of a world cup despite being a crucial player in the team. However, the reason behind them not playing for the World Cup might be related to compatibility with the particular format of the game. Alastair Cook is still part of the England team and has always been an integral part of the team. However, it will come as a surprise to most people that the former England captain has never got a chance to represent his side in the 50-over World Cup. Cook has proved to be brilliant captain for the English side as under his captaincy, England has won two Ashes series. It’s not that he has a bad record in ODI’s, in overall 92 matches he played, he has scored more than 3,200 runs compiling of 5 centuries and 19 half-centuries. With 97 ODIs under his belt so far, it comes as a big surprise that Alastair Cook never represented England in the 50-over World Cup. The previous occasion when he featured in an ODI team was back in December 2014, prior to which he had scored more than 3000 runs with 5 centuries. It is highly unlikely that we will ever see Cook participate in future World Cups. 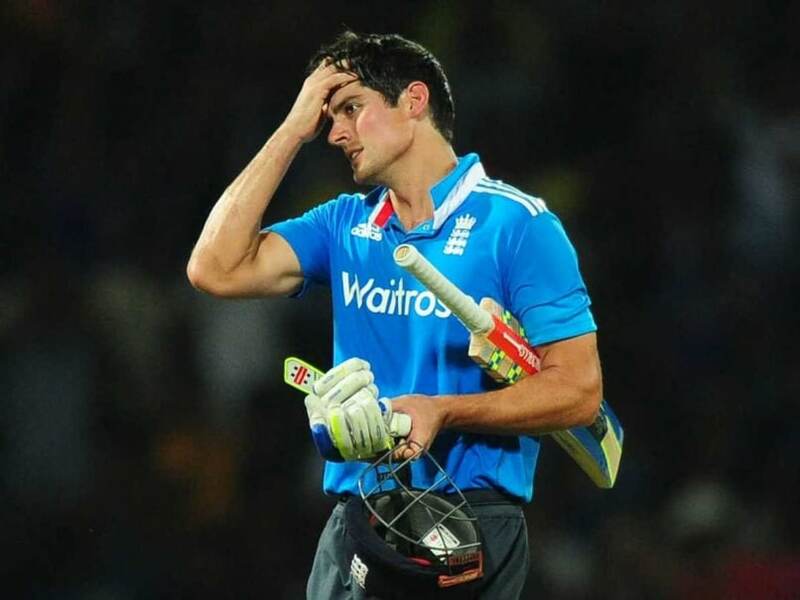 The last ODI in which Cook represented the Indian side was back in December 2014 and it is very unlikely to see him play in a 50-over World Cup ever.